October at NMRA is all about recruiting and hiring in a tight labor market and staying on top of the many labor regulations just waiting to trip you up. We will be providing you with helpful resources, blogs and a powerful live webinar on Wednesday, October 17th with Roger from Restaurant Rockstars as he shares his 3 secrets to building your Dream Team even in tight labor markets. This webinar will teach you successful staff recruiting, team-building and effective training. Recently we conducted research in helping our members tackle their biggest challenge: Finding (and keeping) good employees. New Mexico restaurateurs are not alone in this boat. Restaurants across the United States are having this very same issue. The jobs are there– the workers are not. The job market is more competitive than ever before. The unemployment rate in New Mexico is lower than any time in the past ten years at 4.6%. Good people are hard to find. 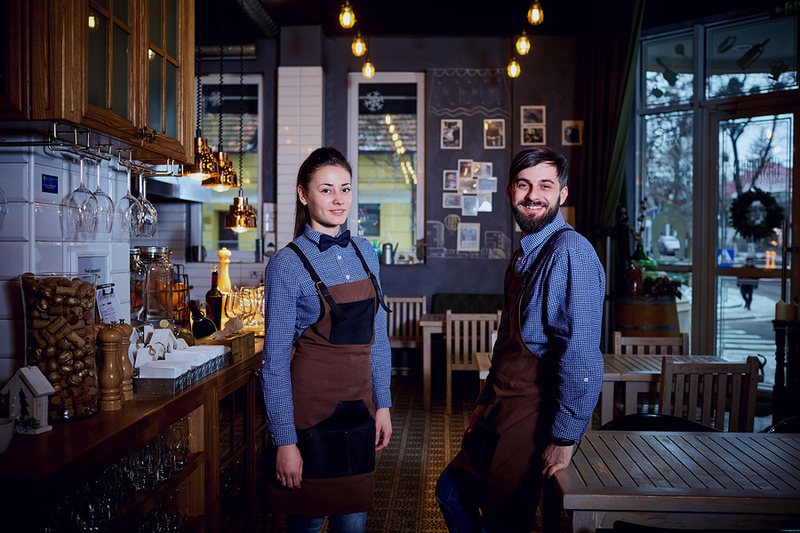 Hiring is hard–and hiring in restaurants is even trickier, especially with the restaurant employee turnover rate being so high, a whopping 73% in fact, according to The United States Bureau of Labor Statistics. So how do we 86 this rate? It’s a good idea to actually step through your own application process from time to time. Are you asking redundant questions? Can you complete the process on your phone? How painful was the process for you? Keep in mind the more obstacles that candidates have to overcome, the more likely that they are to not follow through with completing the application process. Instead, focus on providing a smoother and more modern candidate experience and you’ll often wind up seeing an increase in quantity and quality of candidates. It’s like membership– a no-brainer. How/Where Do You Find the Best Restaurant Employees? Hire even when you don’t need to. The house is full but someone recommended an ideal person for your restaurant, so what do you do? Make room for them. The best employees don’t come along often, and when you find someone with skills, experience, a great work ethic and superior references, don’t let them go. No experience necessary? Try hiring a unique person who has a great work ethic and personality that you can train, that way you’ll ensure they are trained the way you want them to be trained. Avoid ageism. There’s a new battle upon us – Young vs. Old. Evidence is showing that hiring older, seasoned applicants over new workforce entrants has strong positives. Older workers have shown lower turnover rates, low absentee rates and more consistent and stable levels of productivity as well as stronger problem-solving skills, greater self-confidence, and higher levels of motivation. On the other side of that coin are Gen Z and Millennials. National Restaurant Association conducted a new study that shows Gen Z’s and Millennials are dominating as restaurant industry employees at a whopping 66% and showing no signs of going anywhere anytime soon and while the vast majority of these generations presently work as crew members, cashiers, or wait staff, many aspire to much more. NMRA is here to help you fill the house! We have invaluable resources for you like our Member Job Board on our Website. Need a chef, line cook, or manager? Let us know about and we’ll help spread the word through our E-Newsletters and Social Media outlets. Use the Association’s Vendor Members to help retention by keeping things easy for employees. Member vendors offer onboarding, employee handbooks, payroll processing, scheduling services, employee benefits, and more! Value Family Ties & Friendships. Hiring family and friends has its pros and cons, but you may benefit from hiring within. Close friends and relatives may be your first stop for employees when you’re just starting out. You benefit from hiring qualified, fabulous, reliable people you already know. So you’re looking for that perfect employee, but what if they aren’t looking for you? Perks. Benefits. Stability. Reputation. Paid OJT Training. Competitive Pay – You know the rule, you get what you pay for. People want these things. Are you prepared to offer them? If so, your search will be much easier. You found that perfect employee because you took our advice. Now how are you going to KEEP that perfect employee? Be sure to check back next week for our blog on Retention and DON’T FORGET to register today for the “Build Your Dream Team” Webinar on Wednesday, October 17th. Spots fill quickly, sign up today! NMRA Job Board – Need a job? Post a job! New Mexico Workforce Connection – New Mexico’s online portal to virtual job matching.